Because I am mostly concerned with the practical aspects of guns — how they are used — I do not focus on the symbolic dimension of guns as much as many, like Jennifer Carlson (gun carriers see themselves as “citizen-protectors”), Angela Stroud (concealed carry is an expression of “hegemonic masculinity”), or Joan Burbick (gun shows sell an ideology of Christian nationalism along with guns). 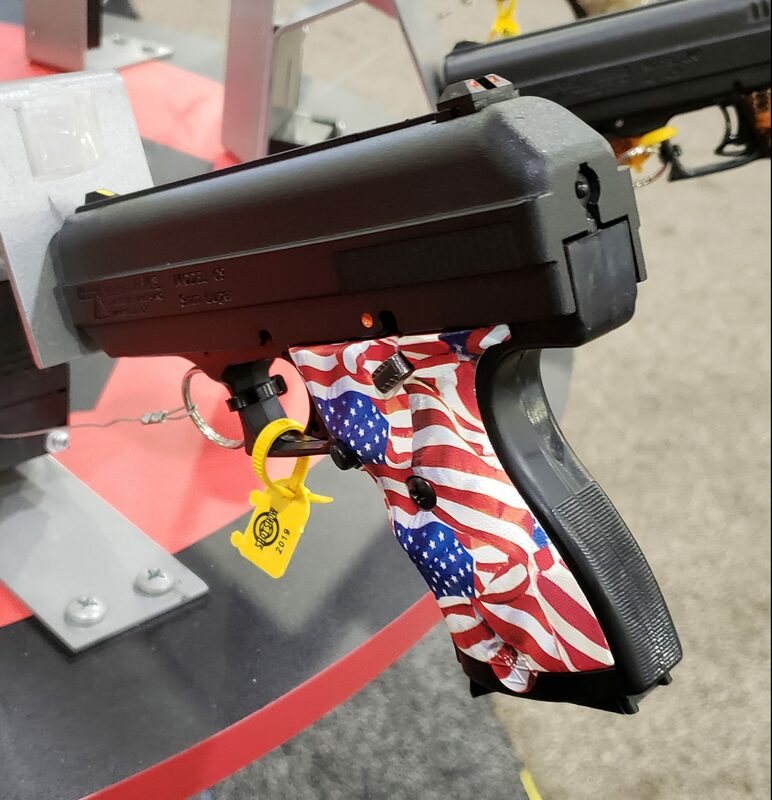 Nevertheless, even I could not miss the symbolic association of guns with American political identity at the National Shooting Sports Foundation (NSSF) Shooting, Hunting, and Outdoor Trade (SHOT) Show recently. Israeli Weapon Industries = America. Anderson Manufacturing double dipping with the Constitution and flag = America. And last, but by no means least, Gear Head Works presents: Anarchy! Anarchy! Anarchy! 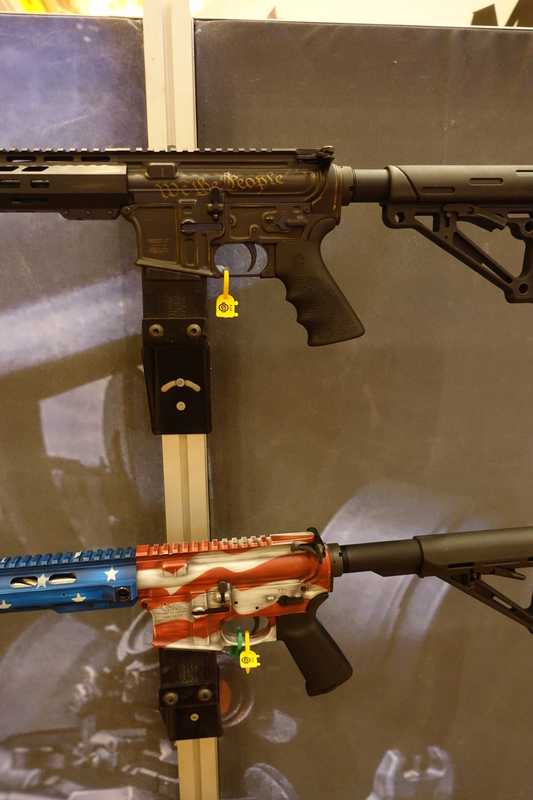 The NSSF staff checked in over 15,000 guns, the overwhelming majority of which were NOT adorned with these symbols. 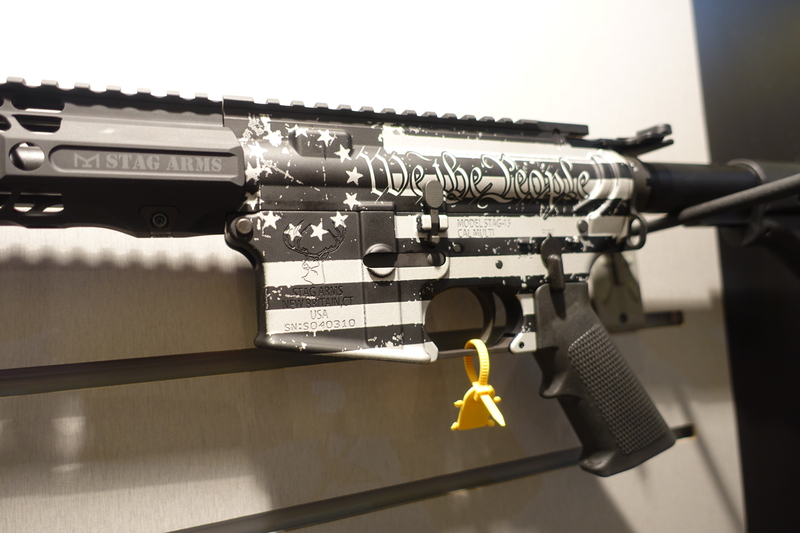 Of course, for many people the gun itself symbolizes freedom, whether or not it is additionally adorned with stars and stripes or the Constitution. Tags: Auto Ordinance, Constitution of the United States, Hi-Point, Israeli Weapon Industries, National Shooting Sports Foundation, Remington Arms, SHOT Show, Stag Arms, Taurus. Bookmark the permalink. Given our current political brown-fest over immigration, I’ll take the one with the Statue of Liberty inscription. Oh, and one with the intro phrase to the Constitution. All kidding aside, thanks for the coverage, David! I was surprised I didnt see one with “build that wall” inscribed. Of course I could have missed it.